Furthermore, Iraqi government forces have allegedly carried out dozens of extrajudicial executions over concerns that the victims were affiliated with ISIL. Experts have suspected that Iraqi forces perpetrated the killings, as at least 26 blindfolded and handcuffed bodies were found in firmly government-controlled areas in Mosul, according to 4 June reports. Reuters has reported previously this year on bodies being seen floating down the Tigris River over several months, having reportedly originated from government-controlled towns in Iraq. This has raised the possibility that extrajudicial killings have been ongoing. Extrajudicial killings in conflict constitute war crimes and possibly crimes against humanity if conducted systematically. ISIL has also been directly responsible for civilian casualties, with UN Human Rights Chief Zeid bin Ra’ad al-Hussein noting ISIL’s particular brutality during an assault last week when the group left the bodies of 163 civilians lying in the streets. According to the UN on 6 June, the civilians had been directly targeted to prevent them from fleeing Mosul, and many hid among the piles of bodies in an effort to survive. Additionally, as US-led coalition and Iraqi forces move into the final phase of securing the city, ISIL has reportedly resorted to using civilians as human shields. 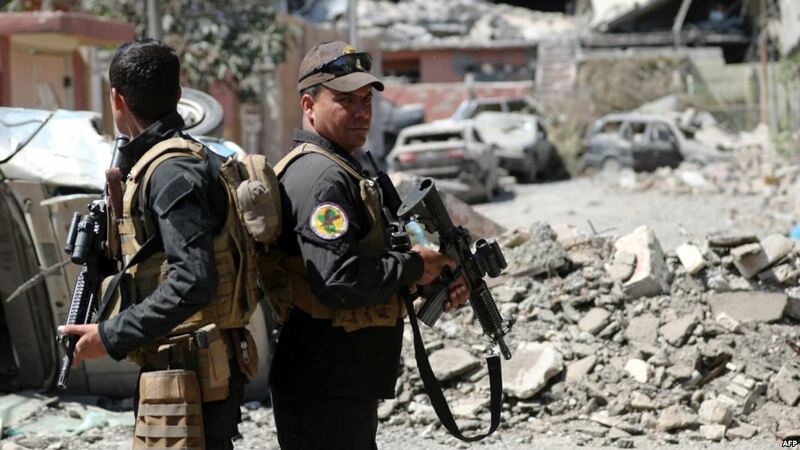 Priyanka Motaparthy, Senior Emergencies Researcher at HRW, stated on 6 June that any future Iraqi or US-led coalition strikes should take the possibility of human shields into account. other than direct action by armed groups, other aspects of the conflict have created an at-risk scenario for civilians. For example, Iraqi and US officials have stated that the maze-like narrow alleys in the old parts of the city make it extremely difficult to evacuate civilians. Furthermore, the UN estimated on 3 June that nearly 200,000 people face a severe food and water crisis in the city. Iraqi Major General Najim Abdullah al-Jubouri said on 3 June it will take at least another month before the liberation of Mosul is achieved, but his forces have halted attacks temporarily in order to create a safe passage out of the city for civilians fleeing from ISIL and the violence. The latest UN Mapping Report released this week documented the gravity of the humanitarian crisis in CAR, discussing evidence of the grave human rights violations in the country occurring from 2003 to 2015. The Report will serve as a key tool in holding perpetrators accountable in country’s Special Criminal Court, as well as in specific cases reserved for the International Criminal Court. On 7 June, the UN peacekeeping force in CAR, responsible for containing ethnic and resource driven violence, urged the dismissal of the over 100 peacekeeping troops accused of sexual abuse if the situation does not improve. A memo detailing the “deteriorating” situation in CAR was sent to a military official at the UN headquarters, but details of the memo were not disclosed to the public. On 7 June, the UN increased pressure on the DRC government to investigate the abduction and murder of UN investigator Zaida Catalan, who had been investigating crimes against international humanitarian law and human rights in the country. Human rights groups have suspected Congolese troops to be responsible, suspicions that have been exacerbated as the DRC has sought to close the investigation. On 2 June, the UN Humanitarian Coordinator in Libya, Maria Ribeiro, called for increased protection and humanitarian assistance for internally displaced persons (IDPs) throughout the country. Ribeiro expressed specific alarm regarding allegations of abuse of IDPs and of humanitarian aid in the Tawargha IDP camp in Tripoli. The “Northern Youth Groups,” a coalition of activist groups in northern Nigeria, signed a statement on 6 June calling for the forced expulsion of all Igbo Nigerians from the region. The Igbo represent one of the three main ethnic groups in the country. Nigerian leaders have publicly criticized the statement and some have called for the arrest of the signatories. The UN World Food Programme (WFP) reported that it will reduce its delivery of emergency aid to 400,000 people in northeast Nigeria due to funding shortfalls, according Peter Lundberg, the UN’s Deputy Humanitarian Coordinator in Nigeria on Wednesday. The region has struggled with a lack of adequate food due to attacks by Boko Haram. On 7 June, Boko Haram launched an attack on the city of Maiduguri that resulted in 13 deaths, making it the group’s deadliest attack in Nigeria in several months. This comes after Nigerian authorities claimed last year that Boko Haram had been effectively removed from the country. The UN has blamed warring factions for exacerbating the country’s hunger crisis. According the UN Food and Agriculture Organization director Jose Graziano da Silva, donors have found little reason to continue supplying resources to South Sudan due to the inability of the parties to the conflict to secure peace. On Tuesday, 6 June, the US-backed Syria Democratic Forces (SDF) started a major offensive to retake Raqqa, the de facto capital of Islamic State (ISIL) in Syria. SDF spokesman Talal Silo told Reuters that US-led coalition forces are working side by side with the SDF. According to the US-led coalition, around 3 to 4 thousand ISIL fighters are likely hiding in Raqqa and have built defenses for the upcoming battle. Humanitarian aid organization International Rescue Committee (IRC) estimated that 200,000 civilians are still trapped inside the city, and ISIL snipers and mines are killing any who try to flee. IRC warned that civilians could be used by the militants as human shields if they remain. On 26 May, the United States’ Syrian War Crimes Accountability Act was passed by the Senate Foreign Relations Committee. The Act is meant to ensure “accountability for the war crimes and crimes against humanity committed in Syria against innocent civilians,” regardless of what side of the conflict allegedly committed the crimes. On 2 June, the formally recognized Yemeni government, along with its supporting Saudi-led coalition, announced tight restrictions on the number of journalists and human rights workers that would be allowed into Yemen. The move has been criticized as reducing the ability to deliver desperately needed aid to ailing Yemeni civilians. According to a Houthi spokesman on 6 June, the group has publicly rejected the UN Special Envoy to Yemen, Ismail Ould Cheikh Ahmed, as a peace negotiator between the Houthis and the Saudi-led coalition on accusations of bias. Mr. Ahmed has been denied access to Houth-controlled areas as well. The group’s rejection of Mr. Ahmed comes after the UN Special Envoy called for a Houthi withdrawal from the city of Hodeidah, as well as for the Houthis to send revenue from the city’s port to a neutral party in exchange for calling off a Saudi-led coalition military operation on Hodeidah.